Those in the mood for romantic food on Valentine’s Day will find lots of amorous options. 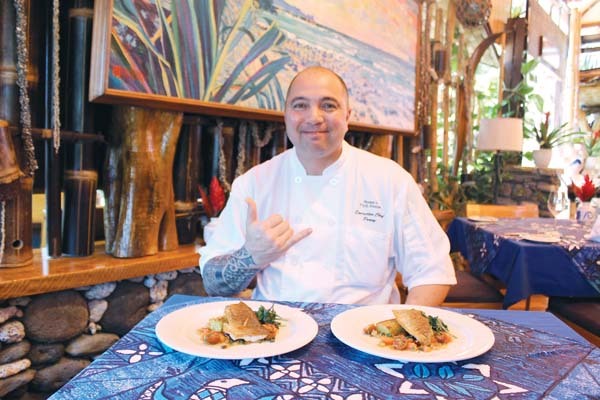 In fact, island chefs are hurtling menus Maui Scene’s way faster than Cupid can shoot his arrows. Since Feb. 14 is one of the busiest dining days of the year, it’s prudent to make reservations soon. 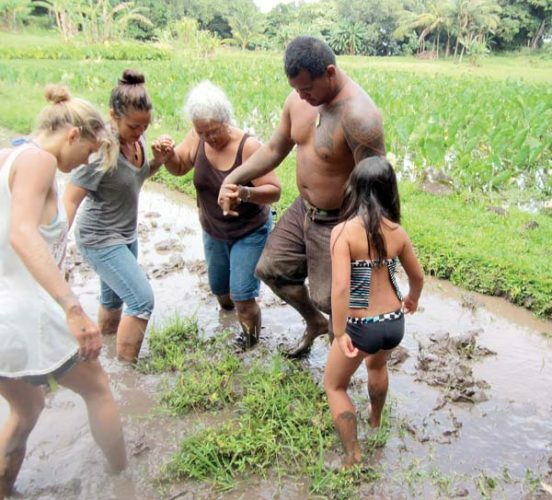 Here are suggestions from West Maui to central and south Maui. Tucked away off of Dickenson Street from the hustle and bustle of Front Street, Lahaina Coolers is an intimate eatery for locals as well as tourists savvy enough to find it. Just look for the blue-striped marlin, a massive marine trophy hung from the ceiling and perfect for photo ops. Open at 8 a.m., Lahaina Coolers serves food until midnight and stays open until 2 a.m. for cocktails. Dinner entrees that appeal are sizzling shrimp with garlic; Evil Jungle pasta with chicken, peppers and peanut sauce on linguine; and bone-in pork chop laced with Chinese five-spice sauce. For reservations, call 661-7082. 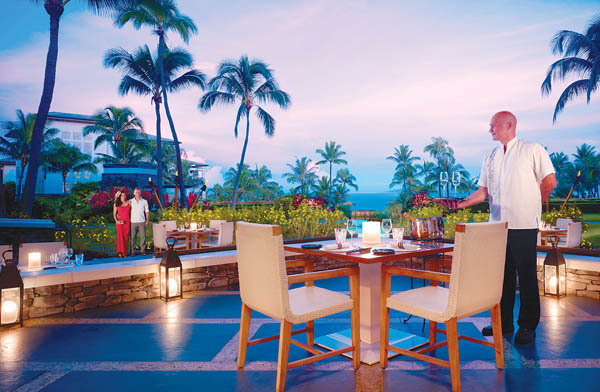 The Montage Kapalua Bay resort’s signature Cane & Canoe restaurant will offer a la carte dinner specials from 5 to 9 p.m. on Valentine’s Day. Bring on the romance with warm lobster salad on braised salsify, exotic mushrooms, watercress and sorrel; and buratta salad with arugula, apple, local tomato, Marcona almond and pomegranate vinaigrette. Entrees range from Snake River Farms ribeye with potato pave, haricot vert and sauce perigeaux to butter-poached Keahole lobster, raviolo, caramelized shallot, and roasted corn and scallions. For dessert, Chef de Cuisine Chef de Cuisine Robert Barrera will make dark chocolate lilikoi tarts with dulce de leche and dark chocolate crunch. For reservations, call 662-6681. 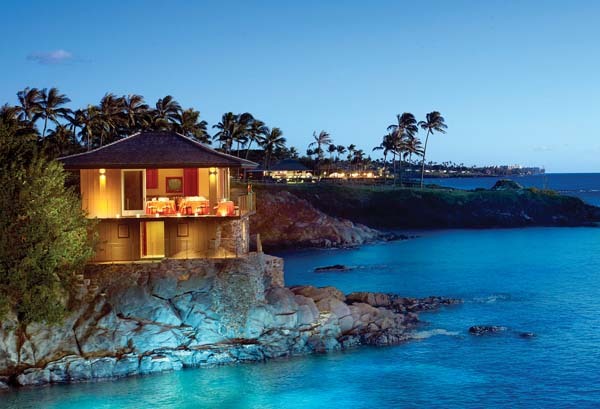 Montage Kapalua Bay Executive Chef Chris Damskey will present a memorable Valentine’s Day dinner at the Cliff House for $550 per couple. An advance notice of 72 hours is required. Call the Montage at 662-6505. In addition, Montage just opened the new Hideaway bar in the former Cane & Canoe bar area for casual dining. And, Rose by the Bay will transform the Cliff House Feb. 15 to 17 from 4 to 7 p.m. with wine and food pairings. Walk-ins only. Maui Prime Fine Foods in Emerald Plaza in Lahaina is the one-stop shop in West Maui for fresh oysters, seafood, prime cuts of meats, cheeses and wines. Wow your sweetheart with the steamer pot for two in which you get to keep the pot filled with one lobster or two lobster tails, one pound of clams, six pieces of crab claws and six shrimp, aromatic broth and baguette. Open from 11 a.m. to 5 p.m. Tuesdays through Saturdays. Call Maui Prime ahead to ensure the pot is available at 661-4912. Are you craving comfort food like what you get on Thanksgiving? Then you’ll fall in love with the Thursday special that runs every week at Leoda’s Kitchen & Pie Shop in Olowalu. Executive Chef Alex Yago will cook turkey with all of the fixings at 4 p.m. today and next week for Valentine’s Day, so eat comfort food until your heart’s content. Those who dine in should note that Leoda’s has a liquor license and some of the sweetest pies around. For more details or to order, call 662-3600. According to the chefs at Ka’anapali Beach Hotel, “food is love.” At least, that will be the premise from 5 to 9 p.m. Feb. 14 for a special Valentine’s Day buffet dinner that will appeal to the whole family, from keiki to kupuna. Executive Chef Tom Muromoto and Exec Sous Chef Chris Napoleon will tempt you with Asian pear, spinach and walnut salad; marinated mushrooms; potato, chive-and-egg salad; broccoli with cranberries; raw kale and Brussels sprouts; seaweed salad and assorted sushi ands sliced fruits. A carving station will feature slow-cooked prime rib, while an action station will feature chefs at work, topping angel-hair pasta with fresh clams in tobiko cream; penne with shrimp and tomato-basil arrabiata; and fettuccine with beef stroganoff. Cost is $65 per adult and $45 for children 6 to 12 years old. Adult diners will receive a long-stemmed rose and a glass of house wine or champagne. Hours are from 5 to 9 p.m. For reservations, call Kaanapali Beach Hotel at 667-0124. Sansei Seafood Restaurant & Sushi Bar has two locations on Maui, the first on Office Road at Kapalua Resort and the other at Kihei Town Center in Kihei. Kapalua will will offer the following specials in addition to the regular cutting-edge contemporary Japanese menus. From the sushi bar will come fresh blue-fin tuna from Japan, Chef Masa’s omakase nigiri sushi platter and Wagyu beef carpaccio with truffle ginger scallion sauce. From Sansei’s kitchen will be New Zealand rack of lamb with miso bleu cheese sauce with garlic mashed potatoes and braised baby bok choy; and macadamia nut and chocolate chip bread pudding with caramel sauce and vanilla ice cream. Prices range from $9.50 to market price. Both Sansei restaurants feature fun early-bird and late-night specials. For Kapalua reservations, call 669-6286; for Kihei, call 669-0004. Ruth’s Chris Steak House is another top island restaurant with two locations. The first is at the Outlets of Maui mall in Lahaina and the second is upstairs in The Shops at Wailea. Both will open at 3 p.m. Feb. 14 to accommodate diners hungry for a prime meal with New Orleans-style hospitality. From perfectly marbled ribeyes to leaner filet mignons to tempting T-bones, Ruth’s Chris Steak House sears USDA prime beef and finishes it with pats of butter. Whisked to tables on sizzling 500-degree plates, the meaty masterpieces arrive juicy and hot. Savor the top two-percent of the country’s beef, the freshest seafood with heaping sides of creamed spinach and au gratin potatoes. Sit in comfortable elegance, sip a chilled martini, swirl a big red wine from the award-winning list, share crab-stuffed mushrooms, eat steak-house salads and delight in bread pudding with creme Anglaise. To experience New Orleans-inspired cuisine at its prime, follow the sizzle. For Ruth’s Lahaina, call 661-8815. For Ruth’s in Kihei, call 874-8880. 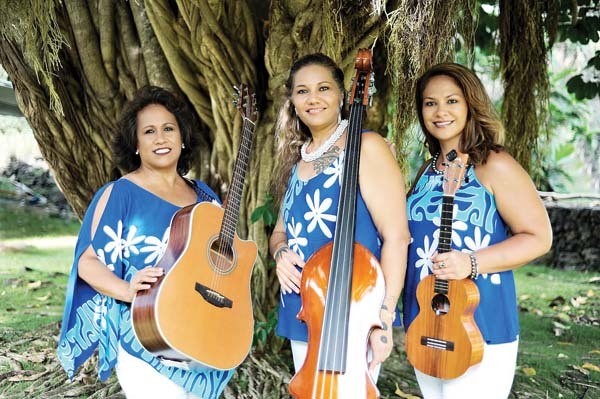 Listen to live music by Ron Kuala’au and savor an all-you-can-eat Feast For Kings and Queens dinner buffet at Kahili Restaurant in Waikapu from 5 to 8:30 p.m. on Valentine’s Day. Executive Chef Eddie Munoz will warm you up with Mesclun greens, array of fresh vegetables, Caprese salad and fresh baked rolls. Then head to the cold seafood bar with chilled shrimp in Jack Daniels cocktail sauce, spicy tuna poke and fresh Washington oysters. The carving station will have oven-roasted prime rib with horseradish cream and au jus. Other hot entrees are herb-crusted chicken breast, oven-baked salmon stuffed with crab, pan-roasted tiger shrimp on bow-tie pasta and pies and other desserts. 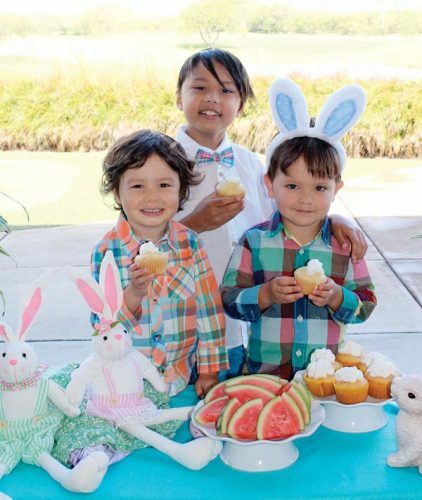 Cost is $49 per adult and $24.50 for keiki 10 and younger. Call 242-6000. The new Vana at the Paia Inn on Hana Highway in Paia was recently launched with a main garden dining area, chef’s table and Jade Bar. Vana is open for brunch from 8 a.m. to 2 p.m. daily and dinner starting at 5 p.m. Wednesdays to Sundays. 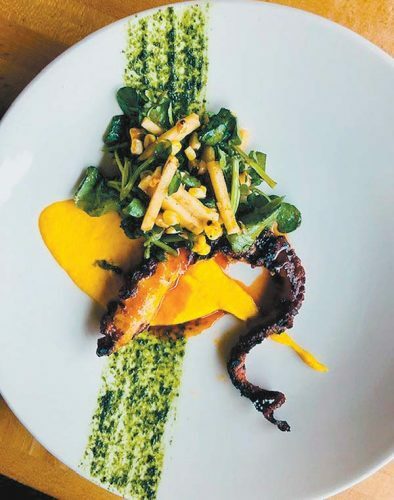 Chefs Nick Gerstmar and Sean Ikeda draw in diners with salads, gnocchi, hanger steak, sandwiches, seafood, vegan items, sushi and desserts. A mixologist crafts Prohibition-inspired cocktails and a sommelier guides you on the wine list. Call 579-6002. Maui’s legendary Willie K will entrance spectators at the Valentine’s Day dinner show at Mulligans on the Blue in Wailea. Brooks Maguire will open at 6:30 p.m. and Willie will perform from 7:30 to 9:30 p.m.. The three-course meal includes your choice of pupu such as spicy ahi tuna, lover’s salad or butternut squash soup. Fall in love with the steak and lobster entree, followed by Fabiani’s chocolate-covered strawberries and cookies along with a complimentary glass of champagne for those 21 and older. The cost is $100 for inside seats, $75 for outside seats and $40 for those 18 and younger. For Mulligans reservations, call 874-1131. The perfect place to pop the question or to simply go out for a night on the town is 5 Palms at Mana Kai Resort in Kihei. Whether you dine in the restaurant or out on the lanai, the expansive dining house has stellar views of Keawakapu Beach from every seat. Open for breakfast, lunch and dinner, 5 Palms offers a special Valentine’s evening menu from 5 to 9 p.m. The cost is $109.95 without wine pairings and $129.95 with nice selections. Begin with Kona crab with cilantro and lime; pastrami duck salad with orange Supreme champagne vinaigrette; an entree of filet mignon and lobster tail with peppercorn Brandy reduction and triple-chocolate semifreddo. For 5 Palms reservations, call 879-2607. Spend a romantic evening at Maui Ocean Center’s Seascape Ma’alaea restaurant for dinner from 5 to 9 p.m. and enjoy a la carte options created by expert chefs. The appetizer of seafood on ice includes oysters on the half shell, shrimp cocktail, fresh ahi sashimi and crab cocktail claws. Cupid’s salad features baby spinach, Kula strawberries, candied walnuts, grape tomatoes and raspberry vinaigrette. The entree is horseradish-encrusted prime rib paired with King crab legs and accompaniments. Dessert is dark chocolate ganache fruit tart. Prices range from $9 to $35. Call Seascape Ma’alaea at 270-7068. Grand Wailea, A Waldorf Astoria Resort will put on a stellar meal at Humuhumunukunukuapua’a restaurant starting at 5 p.m. Choose from beet salad with macerated Kula strawberries and goat cheese or poke with ahi, hamachi and ogo. Entree choices are braised short rib with kalo and potato mash with spinach and crab luau or lobster ramen with black winter truffle. Dessert for two is the Love Tree with dark chocolate, strawberry cotton candy and more. Cost is $110 per person. With wines, add $45. For reservations, call 875-1234.